This book is intended to give the reader a simple introduction to the Urban Decision Room (UDR) system in definitions and diagrams. It demonstrates the model-based construction of the UDR system in terms of urban planning, and focuses on its planning methodological function in design and decision-making activities which occur in the process of urban development. The UDR was developed at the Faculty of Architecture at Delft University of Technology, and should be placed in the tradition of urban planning design and planning discipline that is taught and researched at this Faculty.The UDR is specifically aimed at decision-making processes in the practice of urban planning, and particularly at complex urban area development projects. In contrast to traditional design teams, non-experts can also take part in a UDR. The starting point of the UDR is that the individual and specific visions and knowledge of the various participating parties with regard to the development area in question are translated into individual and specific negotiable preferences for particular solutions for the area. By entering these preferences simultaneously and interactively into a UDR, and not dealing with them successively as in traditional design teams, the result is not plan variants, but one common solution space. A solution space within which a set of different preferences are possible and feasible. In other words, the UDR is a support instrument in the search for a final and common objective. First of all, this book is intended to give the reader a simple introduction to the UDR system in definitions and diagrams. Second, it demonstrates the model-based construction of the system in terms of urban planning. Third, it focuses on the planning methodological function of the system in design and decision-making activities which occur in the process of urban development. Van Loon, P.P., Heurkens, E. & Bronkhorst, S. (2008). 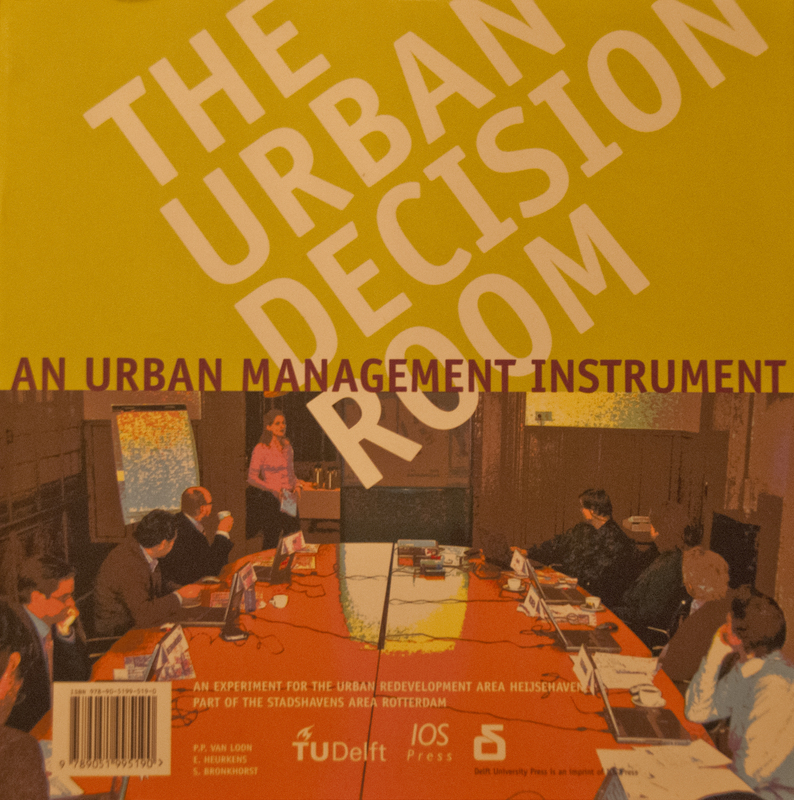 The Urban Decision Room: An Urban Management Instrument. Amsterdam: IOS Press.